InMobi is the poster boy for Indian mobile start-ups. Within a period of four years, the Bangalore-based mobile ad network has scaled to become a global phenomenon, overtaking Google's AdMob in Asia-Pacific (APAC) and Africa markets. Since then, it has launched another product â€“ a payment platform called SmartPay â€“ and acquired the US-based Sprout to push rich media advertisements onto cell phones. The company has now raised a whopping $200 million from Japanese telco Softbank Corp to take the next growth step. 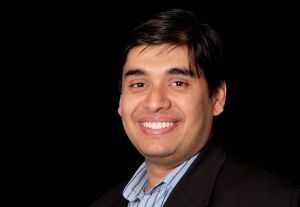 In a 10-minute conversation with Techcircle.in, Naveen Tewari, founder and CEO of InMobi, talked about the funding (but deflected the question of valuation), investment plans, inorganic and organic growth strategies, as well as expectations from SmartPay. Is this the biggest investment in mobile Internet space? Yes, I think so. In fact, it is the biggest investment in the Internet space in Asia and the largest in the tech space during the past one year. Are there further details that you would like to share on the type of deal? Also, our readers would like know your current valuation. It's an equity deal; so there are no complications. As for valuation, I would rather not say itâ€¦ There is a lot of speculation out there. But how will Softbank help InMobi in Asia? Will its portfolio companies use InMobi's mobile ad network from now on? If so, from which ad network partners will they shift? The primary objective of this partnership is financial. Along with that, there are added benefits from other partners attached to the investor. Softbank has some great assets in Asia with whom we can potentially explore partnerships and business relationships. But you can't count that as a part of the relationship. It only gives us access to them. The investment is in InMobi Pte. Does this mean the company headquarters have been shifted to Singapore? Or is that company just a subsidiary? The headquarters are here in India. But just like any global company, you will find us across multiple locations as we have businesses in 165 countries. InMobi Pte is not a subsidiary. How are you going to spend the money? We are going after a fairly large opportunity, which means that we will be far more aggressive. Given that we are a global player and have operations in almost all countries, the first thing is to go deeper into the markets and build deeper relationships with the players in those markets. Second, as it is a technology play, we will continue to hire outstanding talents and engineers who can build great products for us, across the globe. Third, we will continue with acquisitions â€“ it is certainly one of the key things for us to do in order to grow fast. The market is growing rapidly and we would love to use this capital to move at a faster pace than others. We have recently acquired a US-based company called Sprout and over the next few years, we will pursue many such acquisitions as we go along. Tell us more about the types of companies within the mobile ad market (location and company size in terms of revenue) that you plan to acquire. We will be looking at companies which would give us an edge from a technology perspective and help build capabilities â€“ so that we can move faster. It will also differentiate us faster from the competitors. Those are our sweet spots from an acquisition perspective. But there's no specific size that we have in mind â€“ it can be anything from a pre-revenue firm to a revenue-making company. We are a global company, so we have no location restrictions either. We are the second largest network in Europe and Japan, and one of the top three networks in the USA. In fact, we already have fairly large teams there. We have a 50-people team in the USA; our team in Europe has about 30 people on board and in Japan, we have a 15-member team. Where else are you planning to ramp up and what are your hiring plans for the year? I think we should be about 1,000 people in the next 12 months, with 40 per cent of them working outside India. The Indian team will be primarily in engineering and products. Currently, we are about 350 people. How many developers currently use SmartPay? What are your expectations from the product in terms of revenue contribution? Around 100-plus developers across 20 countries use it. It's a product that we have released only a few months ago and it is gaining traction quite fast. The key value proposition of SmartPay is to solve the payment issue across the globe and I think it is fulfilling that promise quite well. With this capital infusion, we would look to take the SmartPay business to the next level. We are not revealing any revenue-related information â€“ it's too early to talk about that. But we do have extremely aggressive plans for SmartPay.